Former Governor of Ekiti state, Ayodele Fayose have been reported to be involved in an accident. In a tweet by the former governor’s media aide, Lere Olayinka, the accident occurred on the 3rd mainland Bridge yesterday. He said; “Immediate past Governor of Ekiti State, Mr Ayodele Fayose was involved in auto accident on 3rd Mainland Bridge in Lagos few minutes ago. “He is in stable condition as I write while he is receiving medical attention. 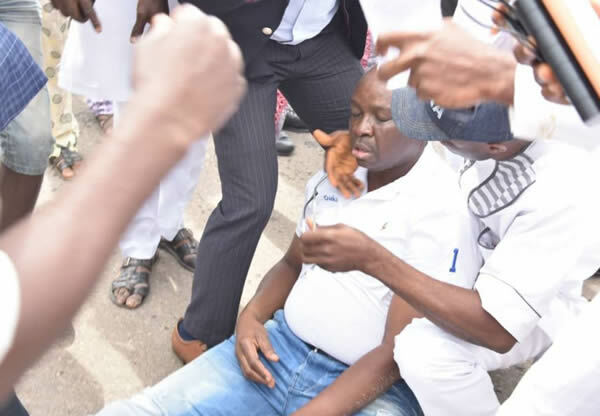 Fayose who is the South-West coordinator of the Atiku Campaign is said to be in Ibadan today for the party’s campaign rally despite his condition.